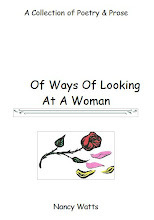 Previously published in chapbook sections, Of Ways Of Looking At A Woman has received wonderful reviews from specialty magazines and on-line publications. Ha! I figured it out!!! Congrats on publishing the poetry book! Can't wait to read it!